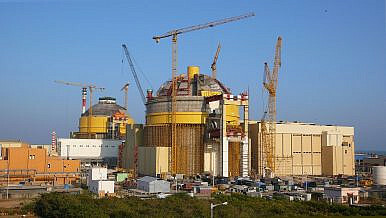 India’s newest operational reactors leave some uneasy. Unit 1 went critical in July 2013 and had issues with functionality when it started out. However, since becoming stable, it supplies about 90 megawatts per day and has a 1000 megawatt capacity. This supply primarily goes to the state of Tamil Nadu in southern India, but also reaches Andhra Pradesh, parts of Kerala, Karnataka, and the union territory of Puducherry. Modi’s dedication comes ahead of the launch of Unit 2 of the KKNPP into full steam. Unit 2 was declared safe for commercial operation and began working at minimum controlled capacity on August 16. it is expected to reach full capacity by the end of the month. India’s Atomic Energy Regulation Board (AERB) has also given it permission to raise its output. Soil excavation and the preparation of the pits for Units 3 and 4 began in February 2016. The new units are expected to follow additional safety measures that would allow them to withstand higher seismic activity and technical and climactic impact. Electricity generation from these is expected from 2022, although the framework agreement for construction is to be signed by the end of this year. The initial offer and design of Units 5 and 6 have been agreed upon, and the clear framework will only emerge much later. Earlier this month, a Russian nuclear industry official, Vladimir Angelov, declared post-inspection that Unit 2 could have withstood a Fukushima-like event. “According to our estimations, the KKNPP can withstand any anticipated operational occurrences, it can even withstand a fall of aircraft. Therefore, we can firmly state that presently India possesses the safest NPP in the world,” he said, after analyzing the technical design. This statement becomes key in the context of Kudankulum, which is not only the site of India’s largest single nuclear power generation unit, but also that of the country’s largest anti-nuclear protest. Kudankulum is the result of a 1988 Inter Governmental Agreement between India and the Soviet Union. At the time, two other similar projects were proposed, but defeated post protests from the residents of the areas in proximity. Kudankulum triggered a large protest in its wake that was ultimately embraced by the Green Party, setup by activist Dr. S.P. Udayakumar and fully supported by villagers and fishermen, primarily in Idinthakarai, where the St. Lourdes Church served as an important site of demonstration. The protests were at their peak in the early 2000s, but were not well received by the government. 8,000 cases have been registered against the protestors and over 6,000 people have been charged with a range of offenses against the state and society, including, but not limited to, sedition, war against government, promoting enmity, and prejudicing the maintenance of harmony. Dr. Udayakumar terms them as “charges (that) are framed with a view to instill fear and to scuttle dissent” – and the dissent offered in this case has been both strong and consistent. First, several suspiciously lengthy delays plagued the Unit 1 project’s execution. Next, final tests to provide clearance required the reactor to work at 100 percent non-stop for 100 days – but it never managed more than 45 days, even after 11 attempts, and concluded the tests after 217 days and 13 installments. Despite repeated failures, it was launched into commercial commissioning – and the reactor that was supposed to work for years closed down for maintenance within 6 months. This sparked criticism not just from the protestors, but also from senior atomic energy experts. Even when the protests were at their peak, the government refused to divulge information about the disaster management plans they had in place. Finally, even ahead of the dedication of Unit 1, research has shown that the reactor’s performance standards are inadequate. With Unit 2 gearing up to fully connect to the power grid by next month and four other units lined up to follow suit over the upcoming years, it is important that these concerns are addressed and fears allayed. The expert committee setup in 2012 attempted to do the same – and the report submitted to the state suggested release of the relevant safety documents to the public. But the committee did not prepare or issue a timetable for the government to act on its recommendations. Four years down the line, the level of implementation continues to remain murky, with the mainstream media largely taking it for granted that all concerns have been adequately addressed. The harsh treatment meted out to protestors, including the charges against those raising their voice against nuclear energy and the exuberance with which the government has embraced nuclear energy, taken together, contribute to an atmosphere of unease about the situation. But as the project prepares for its full launch, all that the citizens can do is hope that the declarations of safety are indeed legitimate, and not wait for a disaster of Fukushima proportions to find out. Modi used Putin's trip to New Delhi to emphasize India's continued commitment to Russia. Reviewing India’s Foreign Policy Toward Europe Under Narendra ModiGrowing Distance Between Delhi and MoscowThe Geopolitics of India and Russia’s Disparate InterestsIndia to Ratify Paris Climate Accord in Early OctoberHow Do Indians Feel About Narendra Modi's Handling of Foreign Policy?